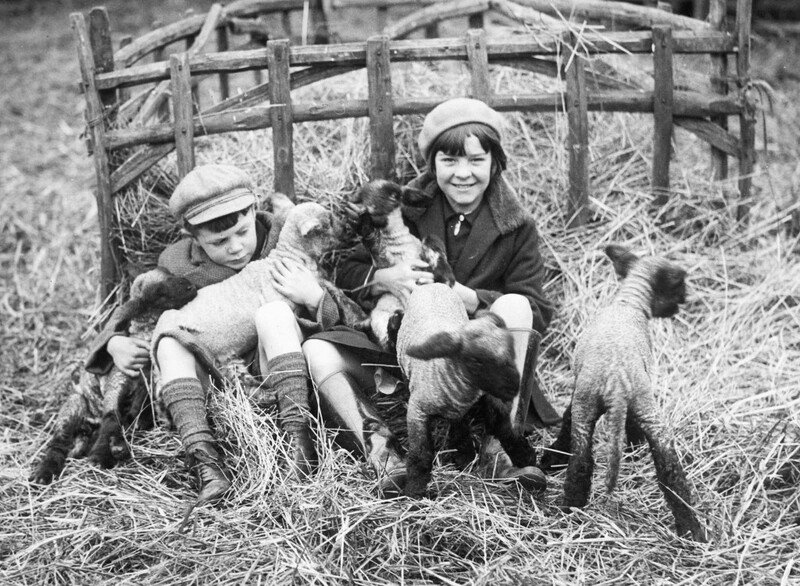 After watching ‘Lambing Live’, seeing lambs in fields on my way to work and cute pictures of lambs from @herdyuk, @farmersoftheuk and many more, every time I log on to Twitter, lambs seemed to be the obvious seasonal subject matter for our Picture of the Month post this time. 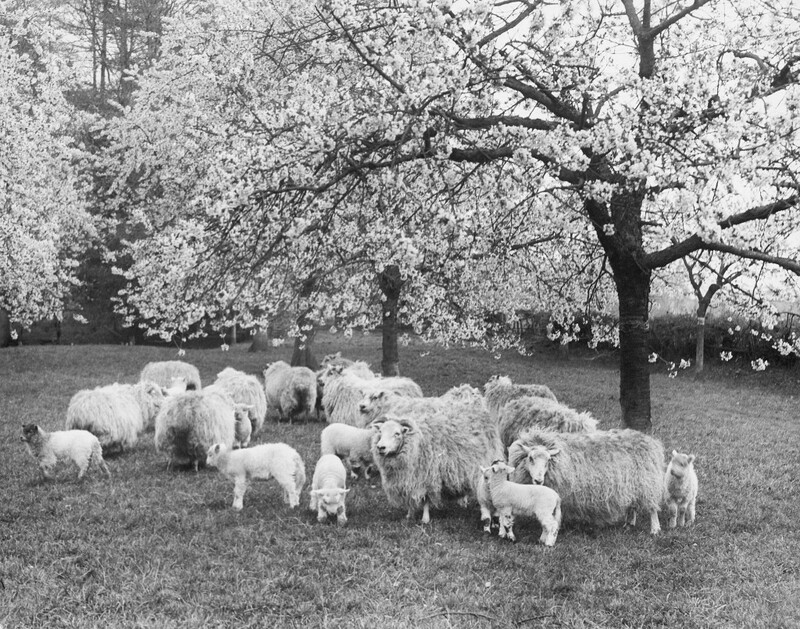 One picture from our collections immediately springs to mind, as it featured in the John Tarlton exhibition last year, and is one of my personal favourites. 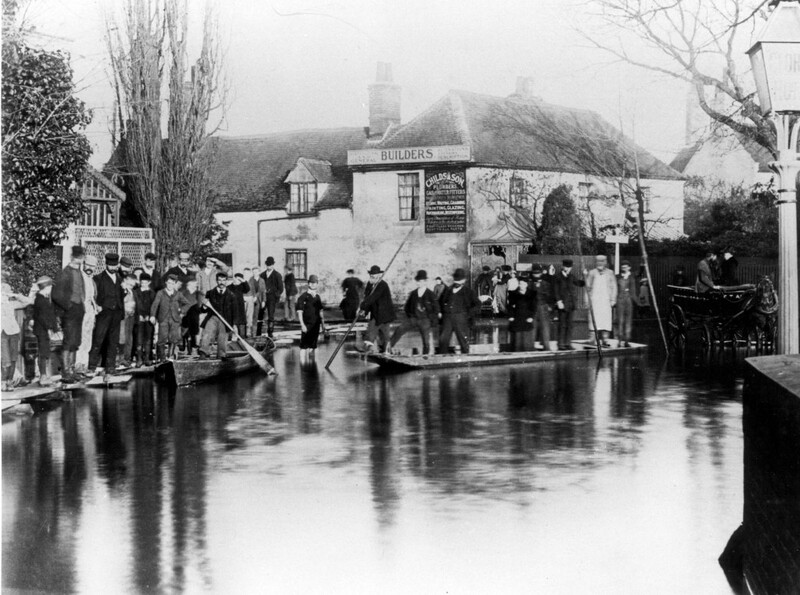 The photographs this month are from a collection depicting canals & canal life. The two I have chosen were amongst a selection used by Philippa Heath, our Public Programmes Manager, in a school workshop held last month. 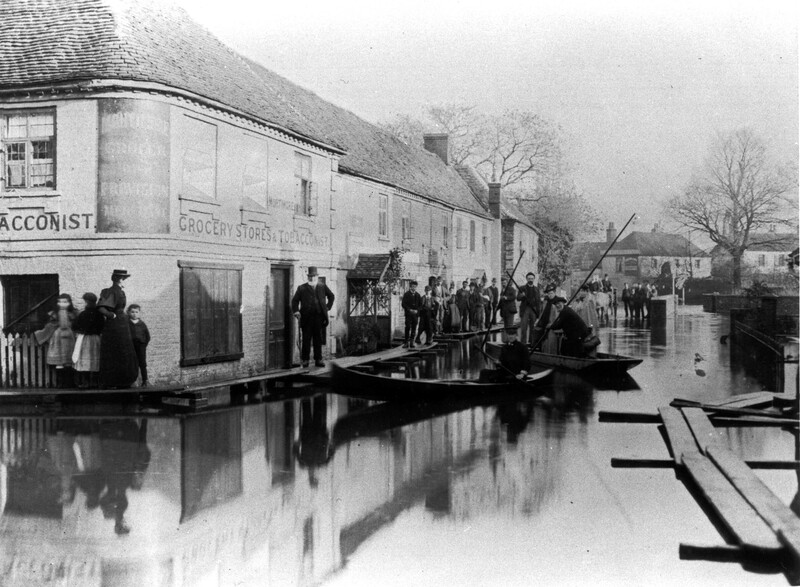 The primary school children visited MERL as part of Takeover Day and used pictures from our collection to create mini exhibitions (see an online version here) about life on the canals. 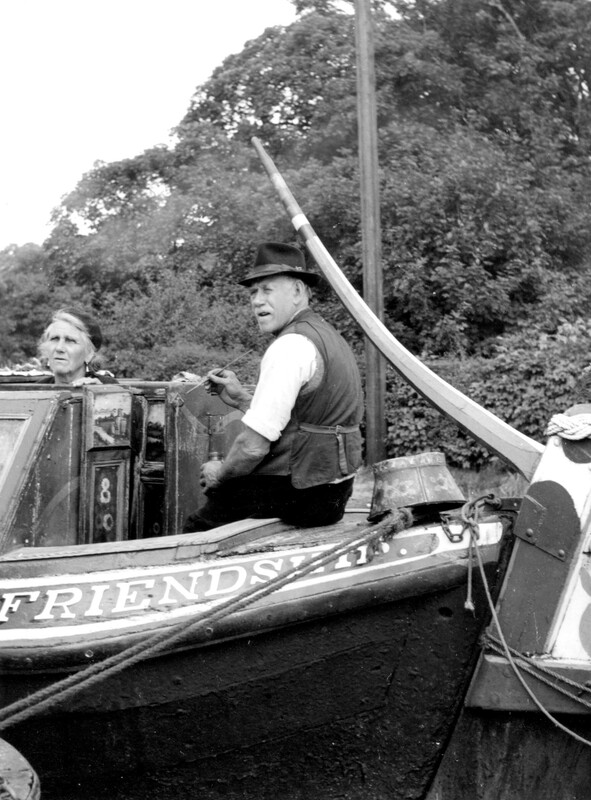 Unfortunately we don’t know the names of the people nor the location of the canal in these particular pictures but the date is August 1965. The collection includes a variety of activities but here we have crocheting and painting. 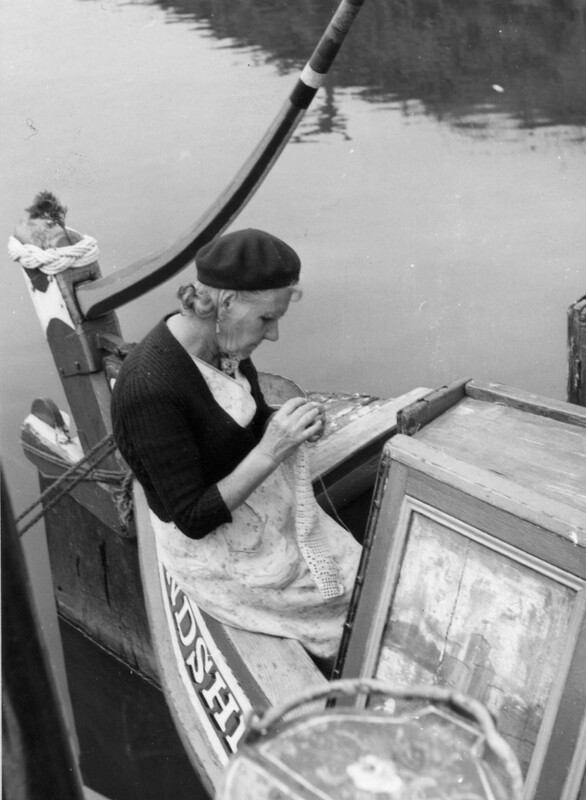 Caroline Benson, MERL’s Photographic Assistant has come across a most fascinating craft (which, sadly, definitely isn’t one which will be on display at our Traditional Craft Fair!) We didn’t quite squeeze this particular ‘Picture of the month’ into October, but I think it’s worth the wait!! 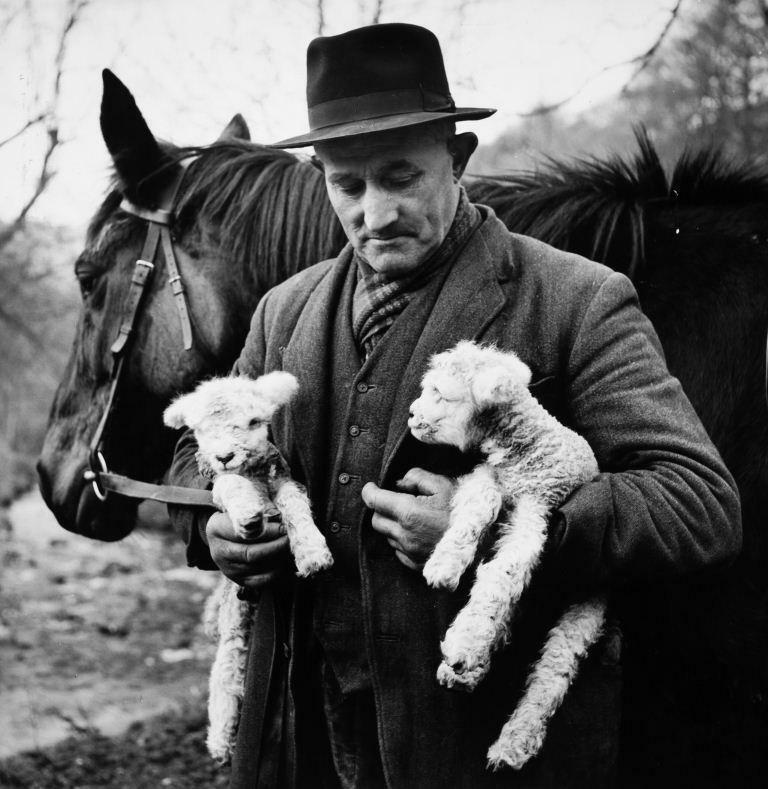 This month’s photographs are from a collection recently deposited at MERL. They show a craft, that I must admit, I didn’t know existed. 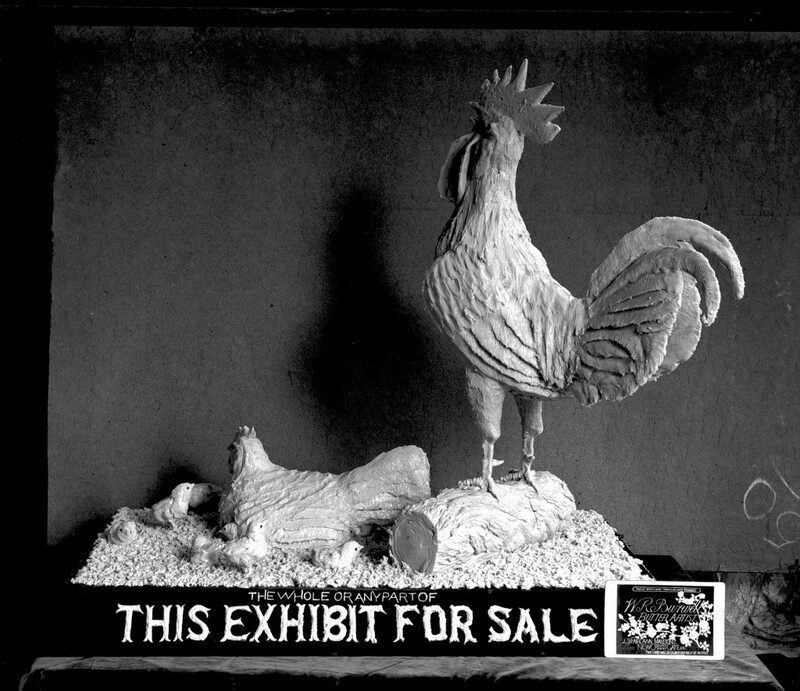 They date from c.1906 and show butter sculptures made by William Burwell, who described himself as an Artist in Butter. 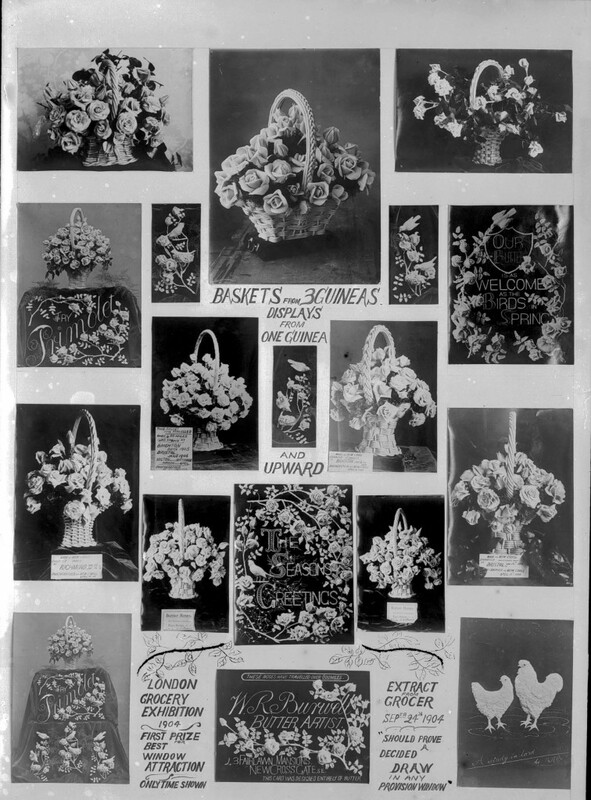 The butter sculptures were sold for window decorations & for advertising & commanded quite a price, the basket of roses costing three guineas & larger window displays from between seven and fifty guineas. The sculptures were even exported, one going to New Zealand, where unfortunately the temperature was too hot & so it had to be held in a “cool chamber” until colder weather arrived. Mr Burwell displayed his work at exhibitions & we have a medal that he won at the Universal Cookery & Food Exhibition in 1907. 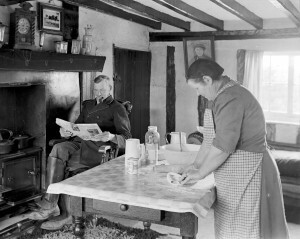 The collection includes a number of glass plate negatives and photograph albums. Although at first glance the crop is being loaded onto an old farm wagon, a closer look reveals rubber tyres, and a tractor rather than a horse at the front. Anyone who has experienced public transport during the hot summer months may like these two photographs where air conditioning is readily available. 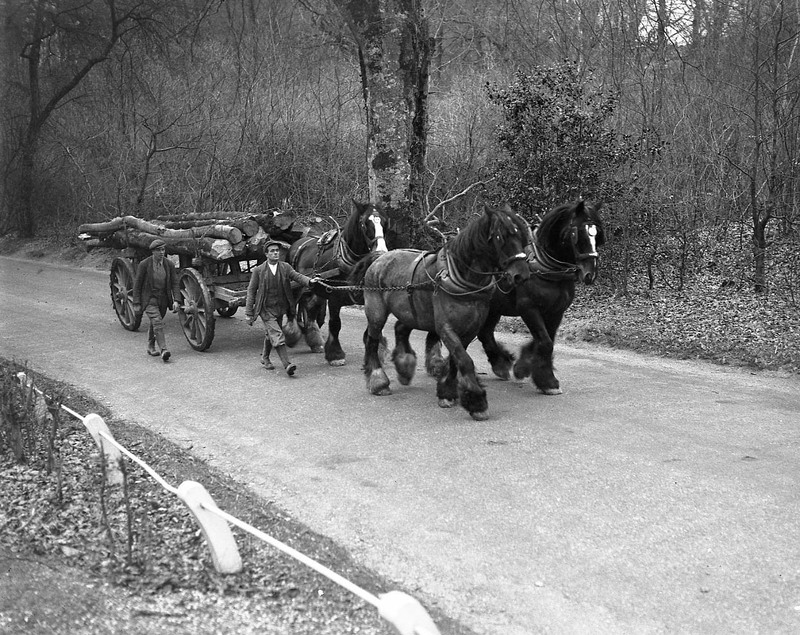 They are both from an album in the archive of Ransomes, Sims and Jefferies Ltd held here at MERL. 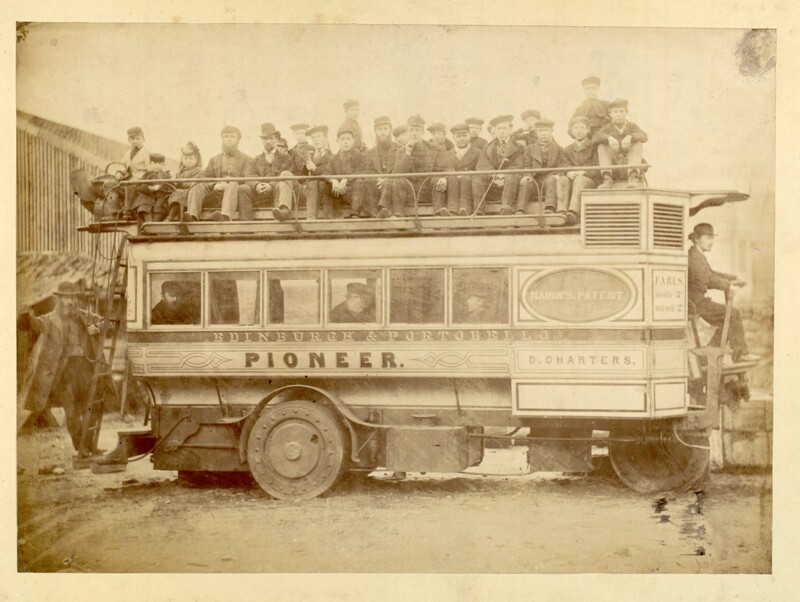 Both date from the early 1870s and show early steam powered buses. 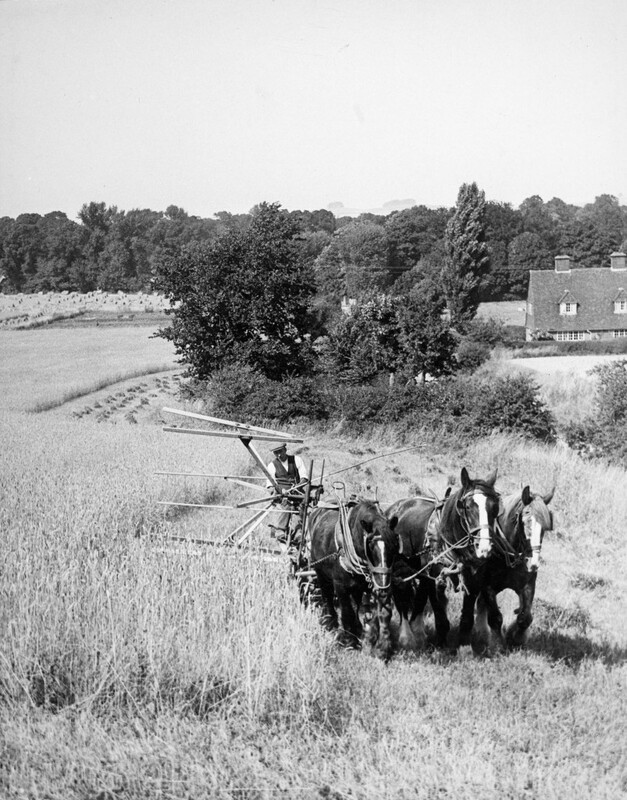 The first, TR RAN ET3/24/10, was manufactured by Charles Burrell of Thetford, who termed it a Thetford Road Steamer. This particular one was supplied to the Turkish government for operating a bus service on Crete. 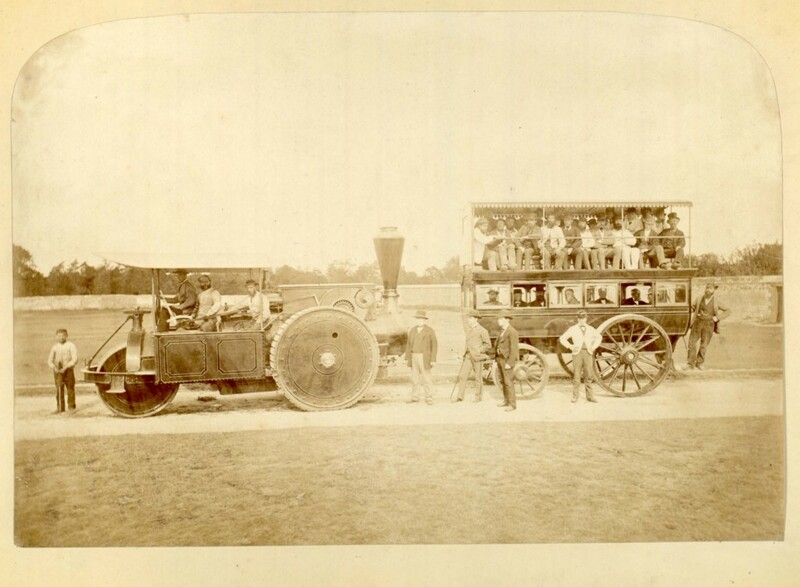 The second photograph TR RAN ET3/24/34 shows Nairns Patent Steam omnibus, manufactured in Edinburgh in 1870. An article in “The Engineer” of January 28th 1870 describes how the design “… was to preserve as much as possible the appearance of an ordinary omnibus so as more easily to overcome the prejudice of the public.” The article also adds that Mr Nairn’s patent principle “…deadens noise and gives most ample adhesion in frosty weather.” Definitely a necessity in Edinburgh I would imagine. No “first” and “standard” class then, just different prices for outside, at two pence and inside at three pence. 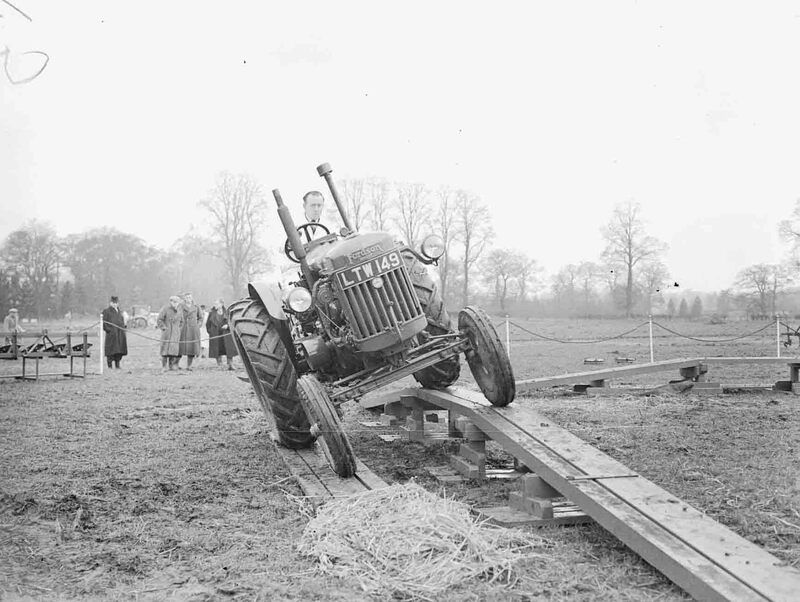 This image, from the photographic archive of Farmers Weekly, shows a Fordson Major tractor demonstrating tilting in 1947 – it was clearly an important test because the driver is wearing a tie and a white coat! 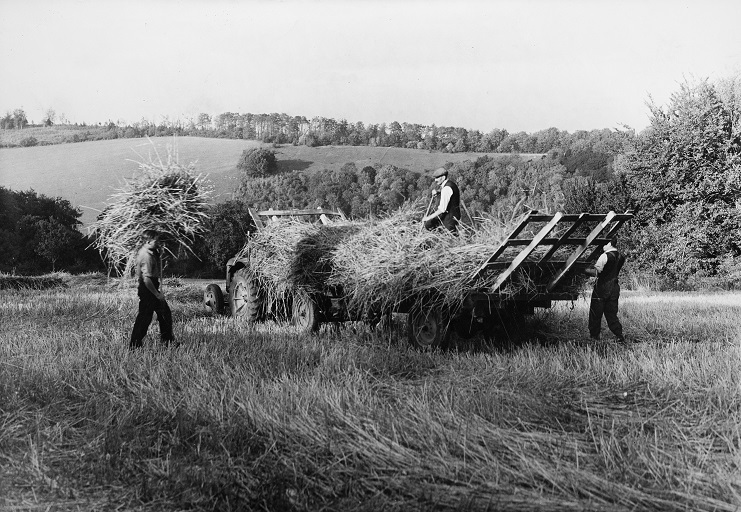 The image is one of the many striking photographs featured in the MERL Tractor Calendar 2014, which will be available from the MERL shop this Autumn. written by Caroline Benson, Photographic Assistant. 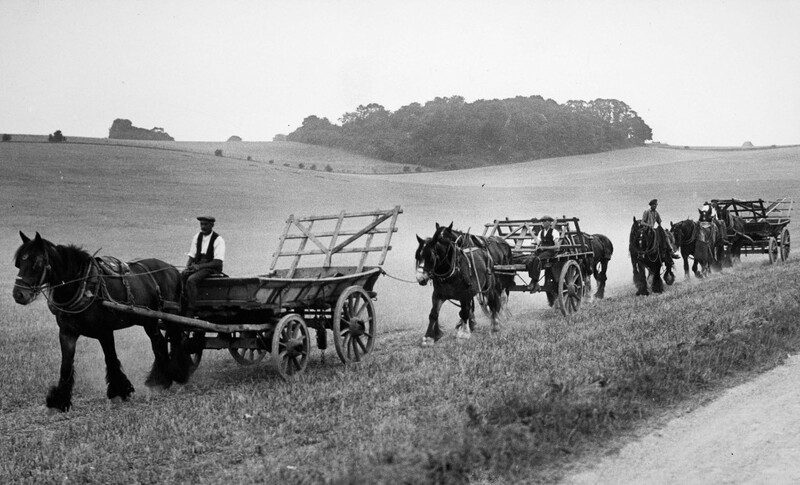 The current temporary exhibition at MERL features the work of the photographer John Tarlton. This wonderful collection came to the museum in 2004 and now, on the completion of the Rural Images Discovered Project, we are ready to promote its full commercial potential. 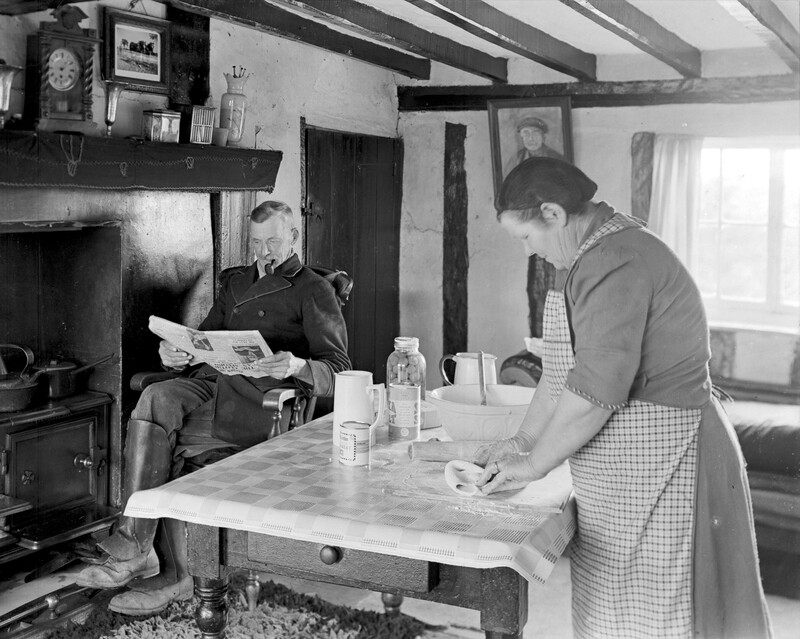 These two photographs showing domestic scenes & farmhouse interiors are quite a departure from Tarlton’s usual images. 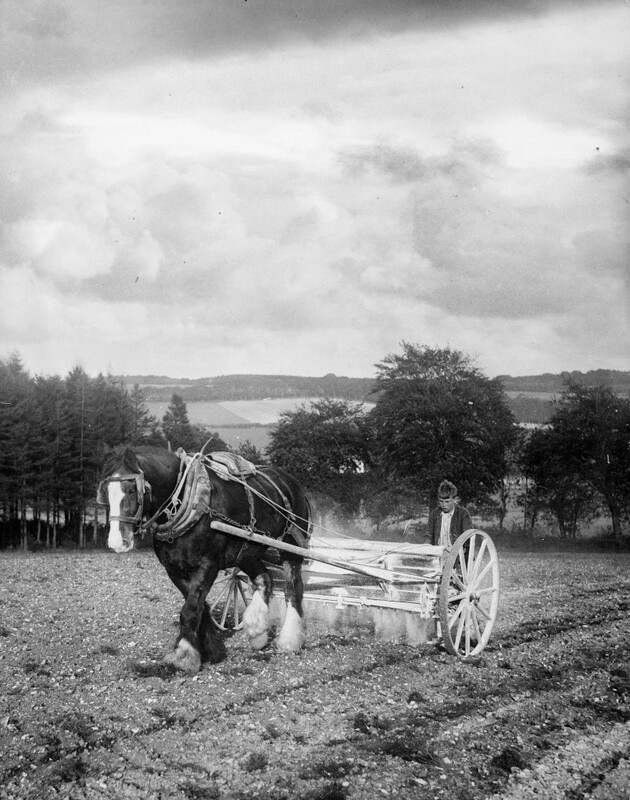 They are both quarter plate glass negatives and are amongst only a very few glass plates in the Tarlton Collection. 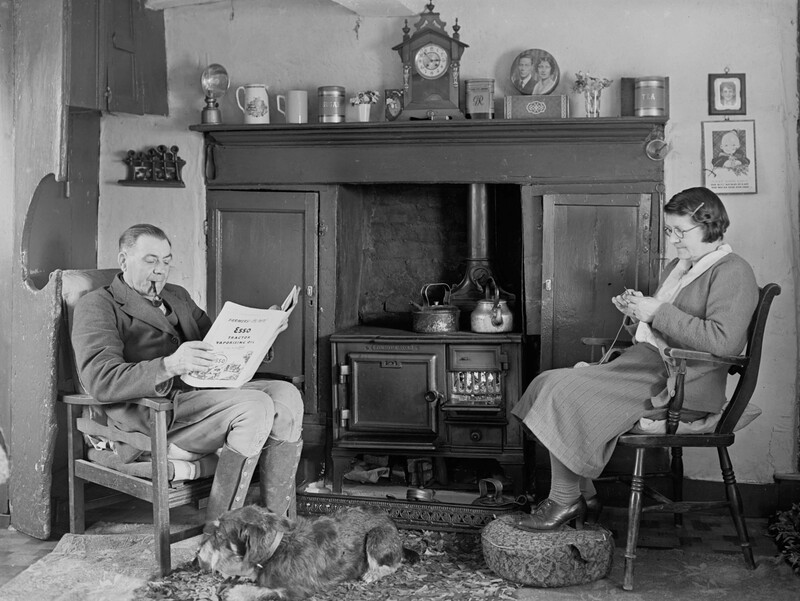 I am often asked for interior shots by picture researchers and so I was particularly excited to find these – I was also pleased when the fireside image was used in the recently published Pitkin guide “Life on the Farm”. Little is known about the two photographs. The fireside image is described on the negative envelope as “Typical Essex cottage interior; farm bailiff & his wife” and the other as “Typical Essex farmhouse kitchen showing C16th beams.” I feel the longer I look at these two photographs the more I see, until I can almost hear the tick of the clock, and certainly the smell of pipe tobacco.